industrial, commercial and civil buildings. COSPE is an elegant and concrete construction company. We build and provide maintenance services for industrial, commercial, hospitality and civil structures. 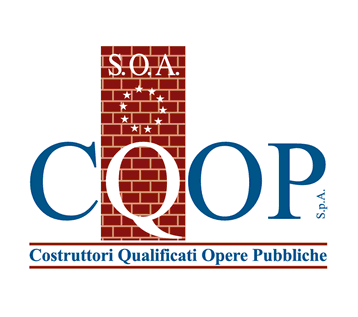 COSPE boasts a team of qualified professionals in the construction field. This runs right from the design and planning phase through to project and site management as well as materials and equipment supply, while constantly keeping updated on the regulations and standards in force. Punctual delivery and rapid fitting out of buildings are our trademark, alongside maximum transparency and seamless quality. Our professional approach, competence and the full satisfaction of our clients are the values that drive COSPE’s ever-evolving activities. COSPE creates and renovates industrial, commercial and residential buildings for our clients, with a professional approach and with respect for our team as well as the sector and health & safety regulations in force. Adding value to our human resources with upskilling courses and training aimed at honing their specialised professional skills is a top priority for the company. The client always comes first for COSPE. We continually seek to earn your trust and give you total satisfaction. COSPE and its collaborators do not use discriminatory behaviour or act in their personal or private interests. COSPE operates with respect for every individual, as described in the job contract, particularly in the sections regarding opportunity, privacy and decorum. It is fundamental that the principle of confidentiality is respected, whatever role or duties one may carry out. All of COSPE’s personnel are obliged to respect this value even after the working relationship has ended. COSPE operates in a way that limits dispersive and futile activities. Each of COSPE’s collaborators must therefore carry out their duties with the maximum efficiency and economy. A primary focus of COSPE is to reach and maintain the maximum possible level of health & safety in the workplace. From knowledge to knowing how. COSPE has an attentive and innovative spirit. This is exemplified by our obsessive care for the context and quality of our projects, our consequent respect for cost control as well as our use of materials and techniques that respect and benefit historical architectural works. We always employ all of our know-how to offer the right solution rapidly.